On day 7 of creation week, God took a break. He rested. No more work for one whole day. Did God rest because He was tired? Not at all! God rested because He knew that WE would be tired, and that we would need to make sure we took time out of our busy, crazy schedules to focus on Him and find rest in His presence. Are you able to take a brief moment during this busy day for a little time of peace and quiet? Or did you laugh when you read that first sentence. Yeah, I know life is busy. I know that we often judge our value by how busy we are. If we have a moment to ourselves, we feel guilty. We must stay busy . . . we must keep moving . . . we have no time for rest. 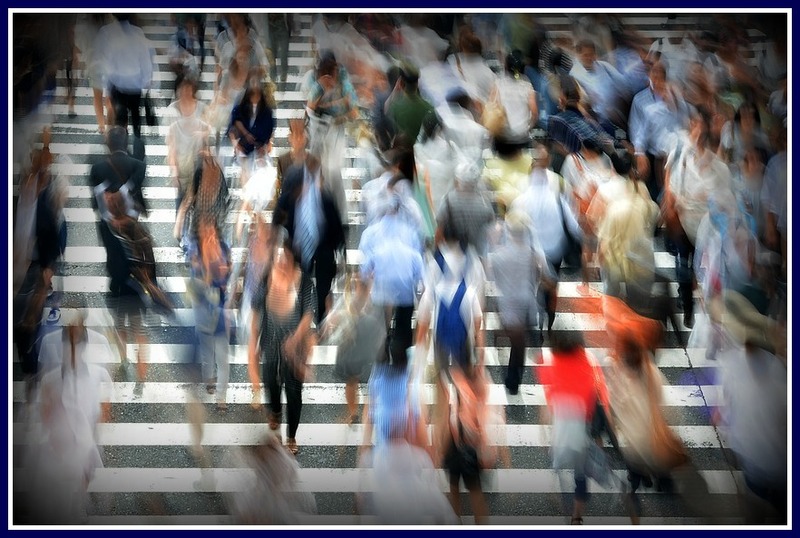 It is so easy to become overwhelmed with the pace of our lives, We are always on the go . . . always doing something, going somewhere, serving someone . . .
until we feel like we can’t possibly go on anymore. We are tired. We are burdened. We are burned out. The demands on our time come at us from every direction, invading our homes and tearing us apart. Knowing that our busy schedules are hurting our relationships, we tell ourselves that it’s not “quantity of time” that matters, but “quality of time” and, in this way, we rationalize away the guilt that comes when we are too busy to spend time with our own children. Is this what God wants for us? Is this what He intended when He rested from all His work? Perhaps you have found yourself in an endless cycle of activity. Perhaps your family is always on the go, and you can’t remember when the last time is that you were able to just “Be still”. 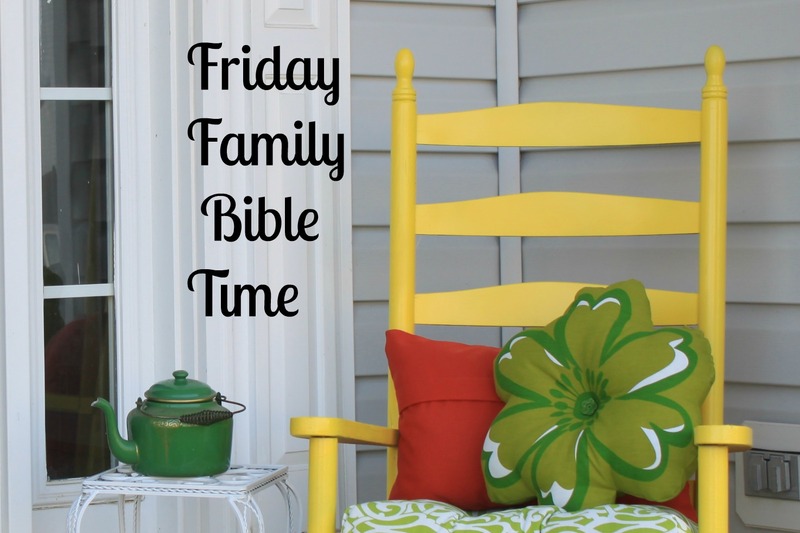 If that is the case, then this week’s Friday Family Bible Time is for you. Take a moment this week to stop the craziness and to come before the Lord. Take time to remind your family of the importance of rest. I pray that you and your family will find that Jesus can take all your worries, your hectic schedules and your endless to-do lists and help you all experience a satisfying rest for your souls this week. Theme: When God had finished with His creating, He took a day and rested from His work. He then set that day aside as a holy day. Today, rest is important for all of us. We need to set apart time to rest and remember all that God has done for us, and we need to realize that we can only have a satisfying rest in Jesus who promises to give us rest for our souls. Once everyone is all tired out, read the Scripture . . . but with one twist. Everyone has to jog in place while the Scripture is being read. 1. How did you feel when we did all that exercise together, sang an action song, and then had to run in place while the verses were being read? 2. What are all the things that God had done on days 1-6 of creation? 3. Do you think God was tired? 4. What did God do on the seventh day? 5. Why do you think God rested? 6. What are some of the things that make you tired? Do you ever get tired spiritually? Explain. 7. Why is it important for us to rest? 8. What did Jesus mean when He told us to come to Him and He would give us rest? 9. How does Jesus satisfy every need we have, including our need for rest? NOTE: God did not rest because He was tired. God rested and made that day holy for US. He knew that we would need to take time to rest or else we would go crazy. And, when we are resting from our work, we should remember God . . . for it is only God who can give us a complete and satisfying rest. 1. Play a game of freeze tag. When one person is caught, he must freeze until someone can come “unfreeze” him. Tie it in to today’s lesson by having the person say, “God gave us a day to rest,” every time someone is caught. 2. Use fabric paint, sharpies, or fabric markers to decorate a white pillowcase. Decorate it using a theme of praise and glory to God or reminders to rest and think about God. 3. Toss a pillow around to the other members of your family. Whoever catches the pillow, has to say one way they praise God. End this activity with a huge pillow fight. 5. Help each other relax by forming a “back/shoulder” massage line, where each person gives a back/shoulder massage to the person in front of them. Make sure everyone gets a nice massage! 6. If you are not in the habit of going to church together, search out a church and attend this week. Make it a priority as a way to honor God as a family! Sometimes we can be very tired because of our worries and fears. We let our worries take over and we forget that Jesus promises to give us peace. For today’s prayer time, make a list of the things that keep you from being able to rest in God. Then pray over them. When you have prayed over them, make a big deal about getting rid of those “burdens”. Rip them up and throw them in the trash or burn them in a fireplace. Make a commitment to continually give your burdens to God. Here is an awesome song to go along with the prayer time. You might want to play it while all your “burdens” are burning up! 1. Think of someone you know who may be going through a tough time and they are really tired. Perhaps this is a young unwed mother or an older person at your church. Volunteer to do something for that person in order to give them an afternoon off. For example: babysit the kids so the mom can have an afternoon to herself or go grocery shopping for the elderly friend. Bless someone you know by giving them a day of rest. 2. Invite a family to church and then take them out for dinner (or have them over) afterwards. 3. See about leading a church service at a local homeless shelter. 4. Find a way to serve at your local church.